s/v Misto is a Nautitech 442 Catamaran we bought in 2013 and have so far cruised the US East Coast and Caribbean. 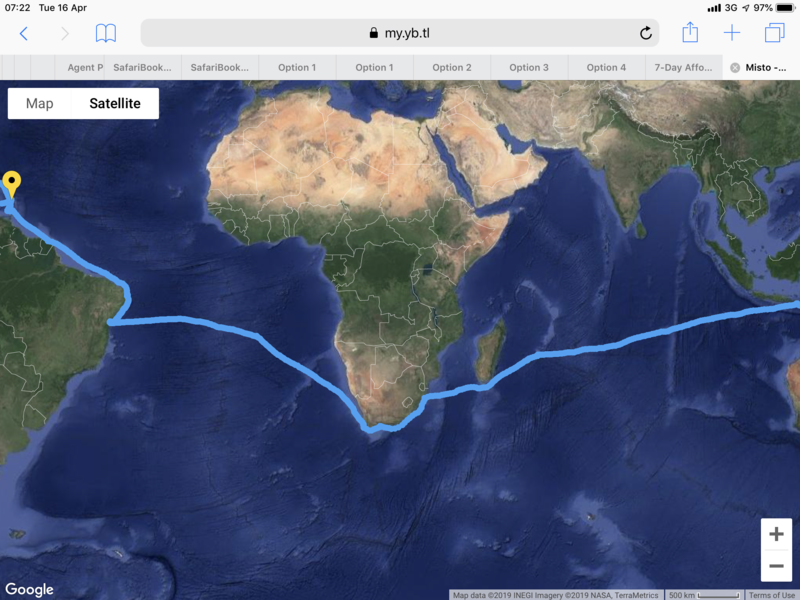 This blog will document our progress from November 2016 as we start on a round the world voyage. “Misto” is short for Mistopheles, the magical cat from the musical “Cats” and we are looking forward to her taking us on many magical adventures. April12-13 2019: Finished at last! It’s with a huge sense of achievement that Misto is back in Rodney Bay and we have celebrated the official end of the World Arc. The parade of sail from Marigot Bay to Rodney Bay was a little challenging in high blustery winds and the circuit around Castries Harbour had to be abandoned due to the late entry of a cruise ship. But we all arrived safely in Rodney Bay and the celebrations began. Drinks on the dock and a great evening celebration heralded the end of this odyssey. It certainly begs the question “what next?” We are planning a summer sailing with our club in North Carolina, the Neuse Sailing Association, a winter in South Africa, boat maintenance and then joining ARC Europe next May. But as some friends from WARC 2017 said, our plans are written in the sand at low tide. To everyone we have sailed with, congratulations and thank you for your camaraderie. To the WARC thank you for making this dream a reality. We spent a very bumpy day and night at Tobago Cays. It really is a most beautiful spot where you can anchor behind the reef with nothing else between your boat and Africa, but on this occasion it was not comfortable. In the company of Anita and Steve from Timshel we dinghied to the beach, had a picnic lunch and snorkeled in the turtle area. However visibility was not very clear as the waves were disturbing the sand. After a very uncomfortable night we departed early for Mustique, however with the angle of the wind we ended up putting into Canuan for a few hours hoping that the afternoon wind would swing around a little and ease. In the afternoon, with two reefs in, we managed to sail over to Mustique. Mustique is a private island made famous by Princess Margaret in the 1960’s and 70’s. Now it is a haven for the newly rich and famous or those who can afford the very high weekly rentals. We enjoyed a short taxi tour of the island, Sunday night Jazz at Basil’s Bar and dinner at the aptly named View restaurant. Ros also went horse riding in the sea. 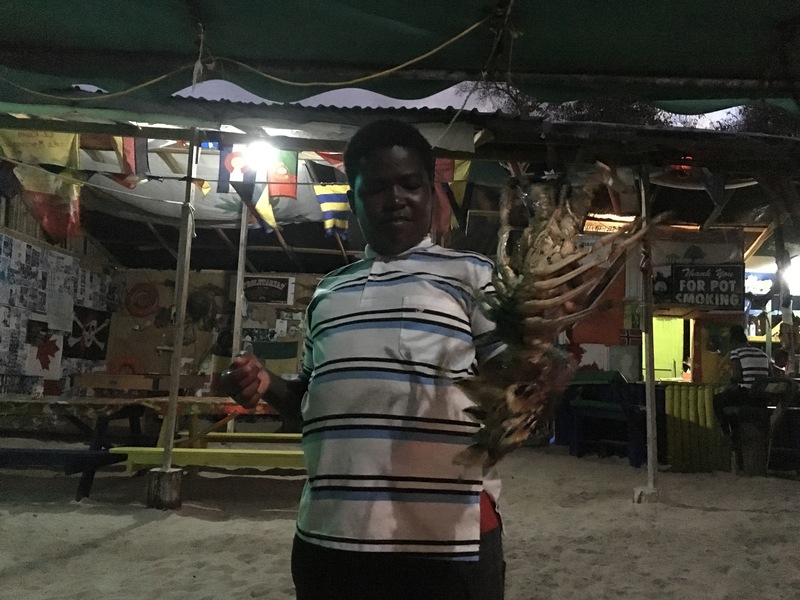 It was a relaxing change from the other Caribbean islands and when we are back in this area we will certainly try to go to Mustique for the annual Blues and Jazz festival held at the end of January each year. After our three days on Mustique we sailed overnight to St Lucia, going directly to Marigot Bay. 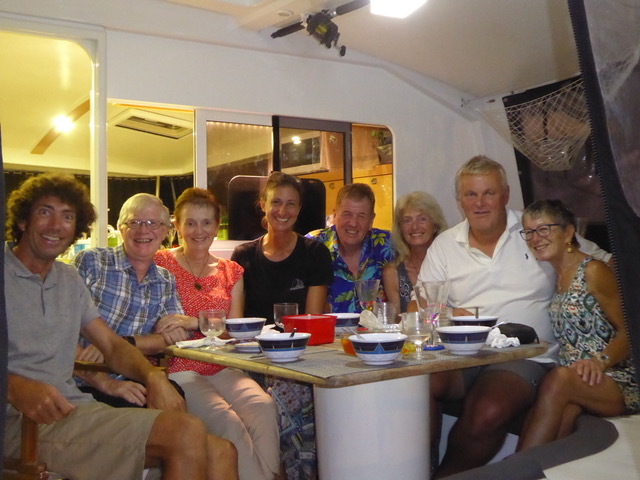 We took the route to Windward of St Vincent and had a great sail, arriving earlier than expected due to favorable current between St Vincent and St Lucia. On arrival we saw that our dinghy, that we thought was temporarily repaired, was leaking again and fortunately we have been able to get it repaired here in Marigot Bay. Last night was a great party here to celebrate our arrival. 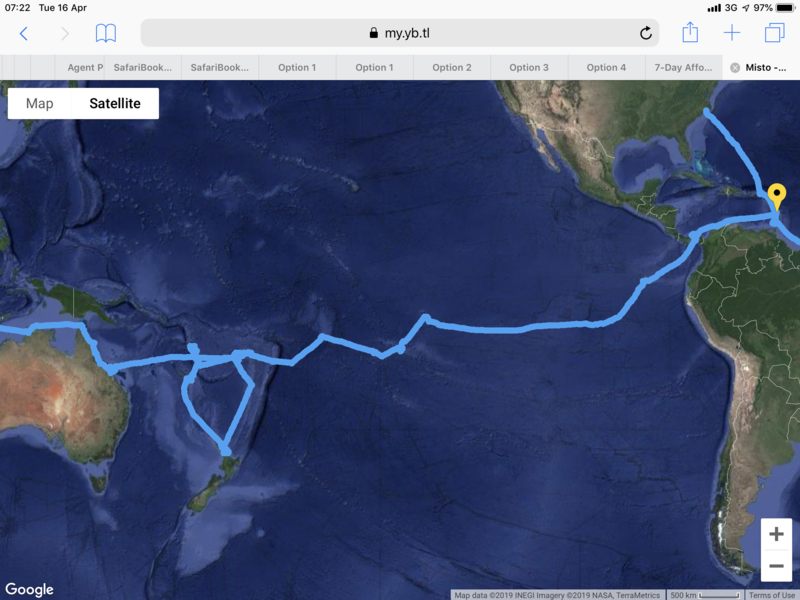 A log of s/v Misto cruising the world Create a free website or blog at WordPress.com.